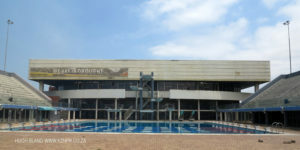 Durban Kings Park swimming pool. 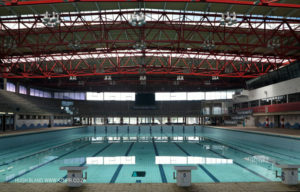 Posted by Hugh Bland on January 29, 2019 Comments Off on Durban Kings Park swimming pool. Kings Park Pool is closed for repairs. It was pretty bad timing since Rachael Finlayson had also been closed for a long time. 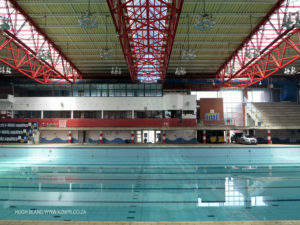 It has now re-opened . 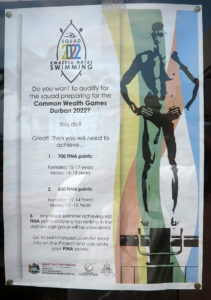 The Commonwealth Games notice sets out qualifying points – lets hope that next time there wont be a need to racially differentiate the qualifying requirements.